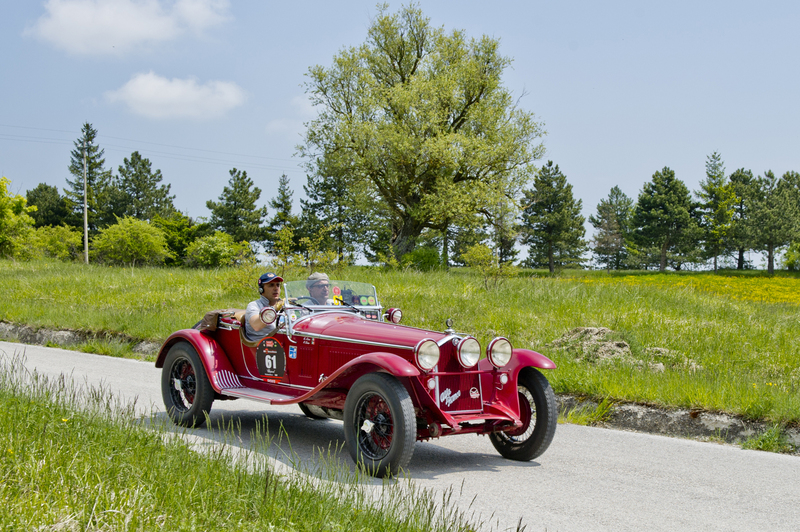 Yesterday the crowds gave a warm welcome to the Mille Miglia, travelling through the Veneto and at their arrival in Padua. This morning the departure from Thermae Abano Montegrotto, bound for Rome, where the teams are expected at Castel Sant’Angelo for 10.30pm. 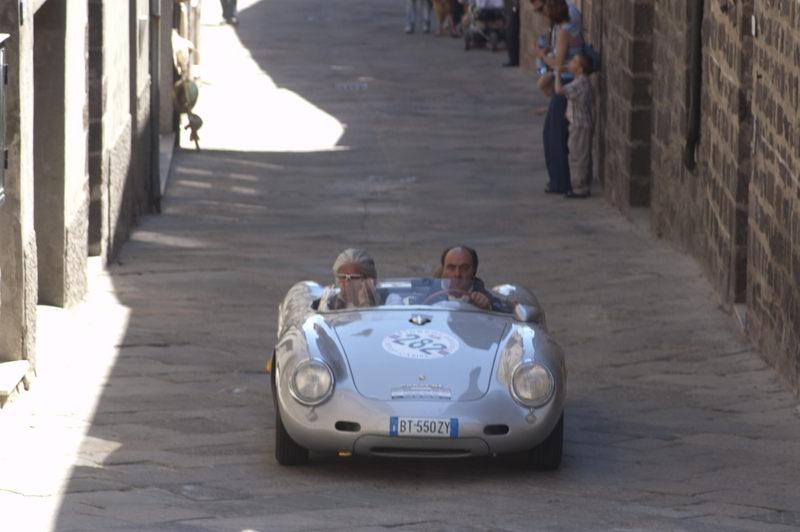 Brescia, May 16th, 2014 – The Mille Miglia set off again this morning, direction Rome. The passage through the Veneto was marked by a warm reception from the crowd. 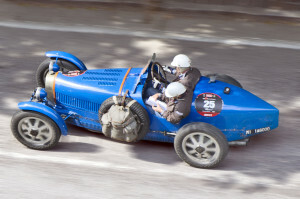 Last night’s ranking ended with Cane and Reichle in first place (driving a Bugatti T 37), followed by Vesco and Guerini driving a Fiat Siata 514 MM and Moceri & Cavalleri in an Aston Martin Le Mans. 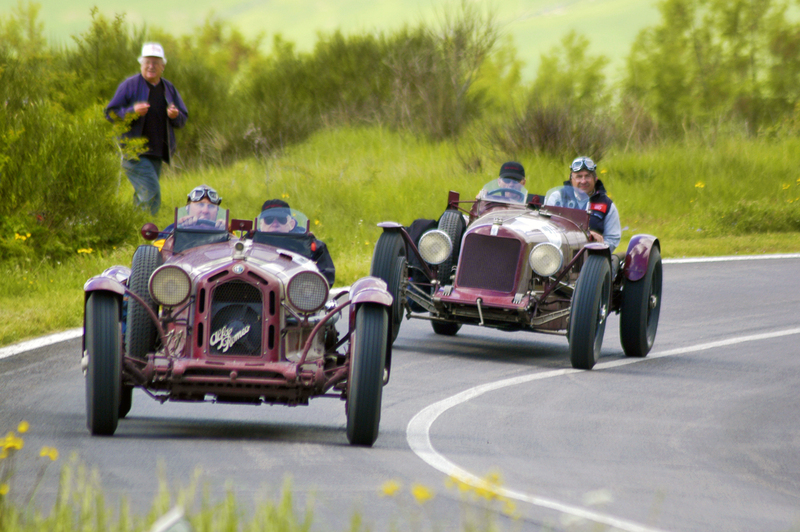 At the moment the convoy of the Mille Miglia has passed through Ferrara and the ranking has changed. In first place we find Moceri and Cavalleri, followed by Cane and Reichle and, surprisingly, by Takemoto and Takemoto in the Bugatti 35A. After stopping for lunch in San Marino, the cars will set off again, this time for Rome, where they will arrive in the beautiful setting represented by the gardens of Castel Sant’Angelo, at around 10.30pm. 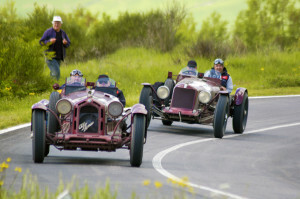 All information and updates on the Mille Miglia can be found on the website www.1000miglia.it and, after registering on the press site, also on www.press.1000miglia.it , on which press releases, photos and video footage of the race will be made available. 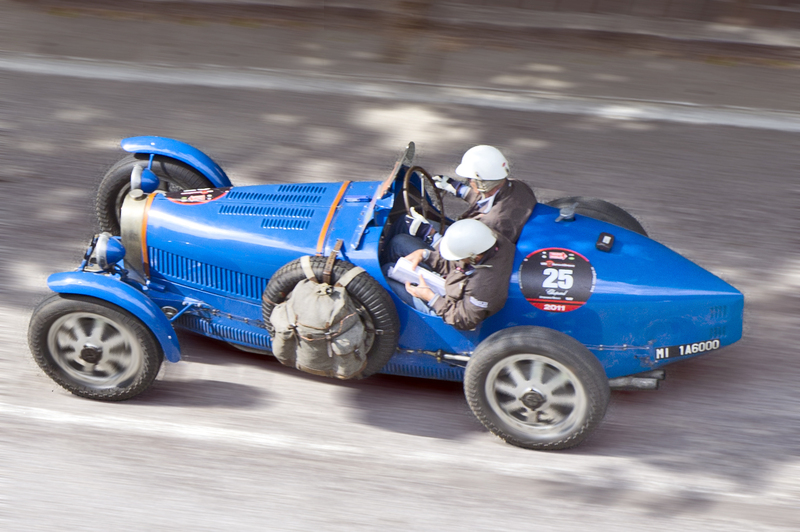 You can also follow the Mille Miglia on social networks: Facebook (official page of the Mille Miglia), Twitter (@millemiglialive) and YouTube (Mille Miglia Channel).